May 22, 2015 — The Louisiana Department of Wildlife and Fisheries (LDWF) congratulates the 110 students from 17 different Louisiana schools who represented the state at the 2015 National Archery in the Schools Program’s National Tournament in Louisville, Ky., from May 7 to 9. Over 12,000 students from 42 states competed. Benton Middle School placed 3rd in the middle school division and compiled a score of 3,357 — just one point behind the second place team. Benton Middle competed against 198 other middle school teams from across the nation. Benton Elementary finished in 4th place at NASP Nationals with a score of 3,219 and was only four points from finishing in the top 3 and a spot on the awards podium. Last year Benton Elementary placed 8th in the nation and went on to be crowned World Champs at the 2014 NASP World Tournament. This year’s NASP World Tournament competition will be held this July in Nashville, and Benton will have the opportunity to defend their title. In the individual competition, two Benton Elementary students finished in the top five. In the Elementary Girls Division, Benton’s Kaitlyn Masters finished 2nd in the nation with a score of 285 and Emma Bunch, also of Benton Elementary, finished 5th in the nation with a score of 284. Their scores placed them at the top of the field of 1,592 competitors from across the country. Nathan Delill of Buckeye High School was Louisiana’s highest scoring shooter at the tournament with a 291, finishing 13th in the Middle School Boys Division. Additional to the traditional NASP bull’s eye tournament, students who qualified for NASP Nationals were also eligible to compete in the 2nd annual NASP/IBO 3-D tournament. Northwood High School student Thomas Miller, a 5th grader, was one of those who tried his hand at this newer element of NASP. Thomas finished 10th among all Elementary Division boys. Other Louisiana schools represented at the NASP National Tournament included: Acadiana High School, Alexandria Senior High, Benton High School, Bossier High School, Cope Middle School, Haughton Middle School, Haughton High School, Poland J.H., Tioga High School, W.T. Lewis Elementary, Phoenix Magnet Elementary, J.I. Barron Sr. Elementary and Tioga High School. All of the students and schools that participated at the NASP National Tournament are members of the Archery in Louisiana Schools (ALAS) program which teaches NASP (National Archery in the Schools Program) to students in grades 3-12 as part of their in-school curriculum. All schools in the state of Louisiana are eligible to have the ALAS program. The ALAS program is facilitated and funded by LDWF. For more information about the ALAS program, contact ALAS State Coordinator Robert Stroede at (318)484-2276 or rstroede@wlf.la.gov , or visit http://www.wlf.louisiana.gov/archery/archery-louisiana-schools-alas . PHOTO 1: Kaitlyn Masters (2nd from left) and Emma Bunch (far right) of Benton Elementary placed 2nd and 5th repectively at the 2015 NASP National Tournament in the Elementary Girls Division. 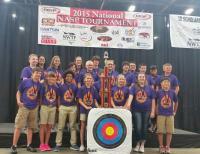 PHOTO 2: Benton Middle School team places 3rd at NASP Nationals. PHOTO 3: Over 12,000 student archers competed at the 2015 NASP National Tournament in Louisville, KY.